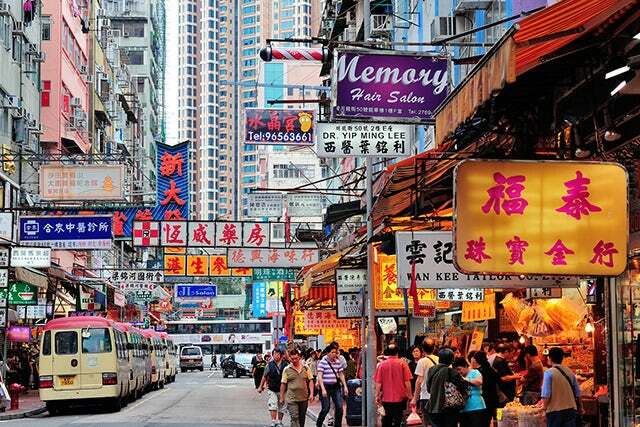 Culture & Heritage of Hong Kong | UNIGLOBE Direct Travel Ltd.
Hong Kong - 1 person likes this. Discover the people and places that shaped Hong Kong. Taoist temples and Edwardian edifices nestle between skyscrapers, people trade on international markets and light incense to bodhisattvas, vestiges of Chinese clan heritage and European colonial history sit side by side — discover the people and places that shaped Hong Kong. Hidden in lush hills and wedged between shining skyscrapers, Hong Kong’s temples are active places of worship and the focal point of the city’s festivals. Visit them to see faithful devotees of Buddhist, Taoist and local deities performing ancient rituals amid aromatic wafts of incense. Located in Kennedy Town on the western end of Hong Kong Island, the Lo Pan Temple is the only temple in Hong Kong dedicated to Lo Pan, patron saint of Chinese builders and carpenters. Lo Pan was a Chinese carpenter, engineer, philosopher, inventor, military thinker and statesman who lived during the Spring and Autumn Period (771-476 BC). According to traditional Chinese belief, the guardian god who protects and watch over cities is Shing Wong. His responsibility is to manage the ghosts and spirits that haunt the district under his charge, and to maintain peace and order throughout the living world and beyond. Eastern Han dynasty (25 – 220) tombs, splendid 13th century ancestral halls, walled villages, elegant Victorian architecture and WWII relics tell the story of Hong Kong’s journey from a far flung outpost of Imperial China to the culturally diverse crossroads of a shrinking world. Kowloon Walled City Park sits on the very site of the former Kowloon Walled City, remembered today as a haven of crime and debauchery. Often portrayed as a latter-day Robin Hood, Cheung Po Tsai is a star subject of many stories and movies. The historical character was a notorious pirate in the South China Seas during the late 18th century, and is said to have once commanded a fleet of 600 ships and 50,000 men. The experience probably stood him well after he surrendered to the Qing Government in 1810 and was given an officer position in the Chinese Navy. The Lung Yeuk Tau (‘Mountain of the Leaping Dragon’) Heritage Trail takes visitors on a scenic journey into the history of the Tang clan, one of the five largest clans in the New Territories. It is said that a dragon could once be seen leaping in the mountains here, which is how the area got its name. Constantly looking to the future while always honouring its past, Hong Kong breathes under the duality of a modern city enhanced by the richness of an ancient society. Visitors to Asia’s world city are invited to experience age-old rituals and time-tested wisdom of the East. Reputedly discovered by Emperor Shennong in 2737 BC, tea has been synonymous with Chinese culture for thousands of years. Shiploads of it passed through Hong Kong on its way to Europe, where it would go on to become Britain’s national drink. Tea is usually served with meals in Chinese restaurants and, for many visitors, the most memorable flavour of Hong Kong will be flower or green tea. When it comes to evoking the mystery and charm of ancient China, few art forms can compare to Chinese opera, with its kaleidoscopic costumes, distinctive falsetto singing punctuated by gongs, and intricate gestures rich with symbolism. Despite serious competition from more modern forms of entertainment, traditional Chinese performance art in the form of Cantonese opera continues to persevere in Hong Kong as a beautiful and timeless craft. Check out our Hong Kong Offers!